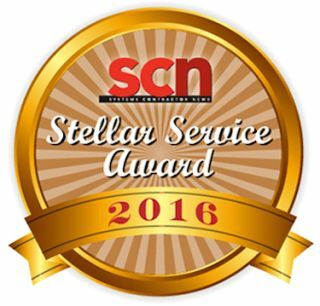 Systems Contractor News has extended the deadline for entries for the third annual Stellar Service Awards to Friday, February 5th. These awards were established to honor the great achievements in customer care and satisfaction in the AV industry, providing another look at what influences the buying decisions of AV integrators. A product and how it performs has to come backed up with a team, a website, support, and service. Winners will be announced in the SCN Spring Special Service Edition in April 2016. All entries must be submitted by January 29. Voting by SCN readers will take place online and further vetted by a panel of integrators and consultants.We welcome entries from manufacturers and distributors. To submit an entry, click here. A $250 fee is required for entry to each category, and companies can enter into the running for as many categories as desired. Any questions can be directed to SCN associate editor, Matt Pruznick.